The quality of Artisan Dentistry’s advanced dental lab allows patients to feel completely confident with the care that they have chosen. So you’ve decided to go ahead with an advanced dental procedure. You’ve done your homework, chosen Artisan Dentistry as your dental practice, met with Dr. Paul Mathew to discuss the procedure in detail and you’re ready to go. 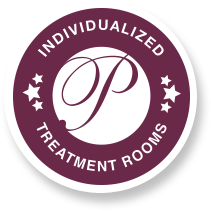 What about the dental lab responsible for making the restorations that are an integral part of your procedure? This is one question many dental patients forget to ask. Artisan Dentistry firmly believes in patient education, we’d like to tell you a little bit about our dental lab so you can feel completely confident about the procedure you have chosen. First, our dental lab technicians are highly trained. All restorations are made in the USA. Our main objective is to train, educate and inspire each lab technician to reach a new level. Dr. Mathew has developed a rapport with his lab technicians, ensuring each patient’s unique needs are met. Secondly, our lab is purely a domestic lab and never outsources restorations to offshore laboratories. At Artisan Dentistry, we believe firmly in doing what is best for you. You are our #1 priority, and only the highest quality materials will do. 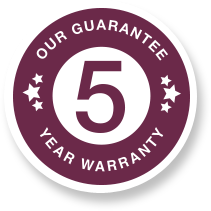 In fact, we believe so strongly in our lab, we warranty our work for 5 years. Because of our high quality, you are assured of superior color matching for the most natural result. The dental lab at Artisan Dentistry is just another way we show we truly care about you and your dental health. To schedule your consultation, please contact Artisan Dentistry in Salem, New Hampshire or Newburyport, Massachusetts.